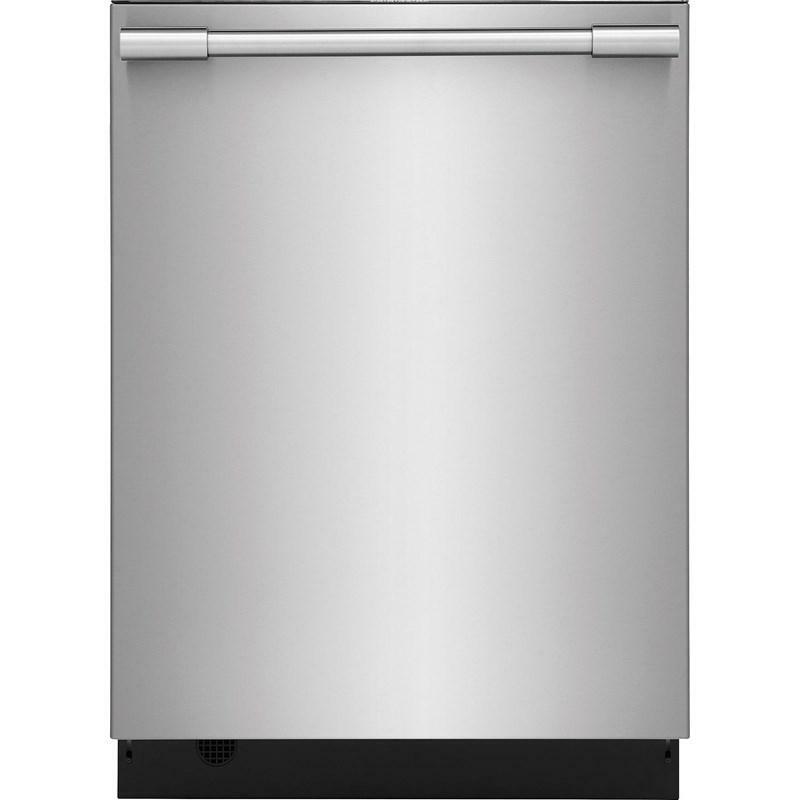 Frigidaire Professional 27" Warming Drawer with 0.9 cu. 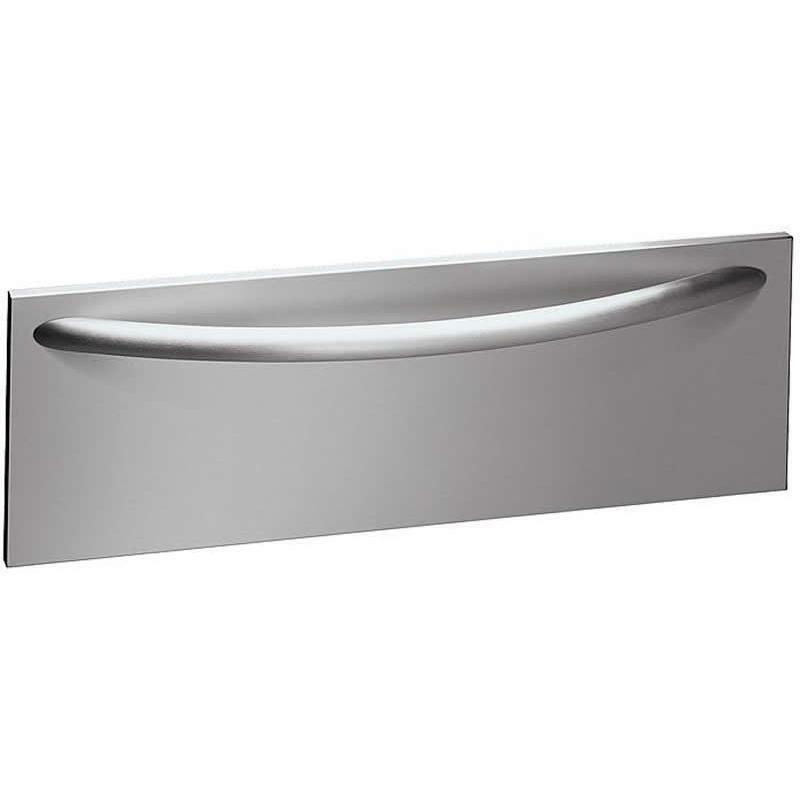 ft. of slim-profile design with EasyCare genuine stainless steel drawer front. 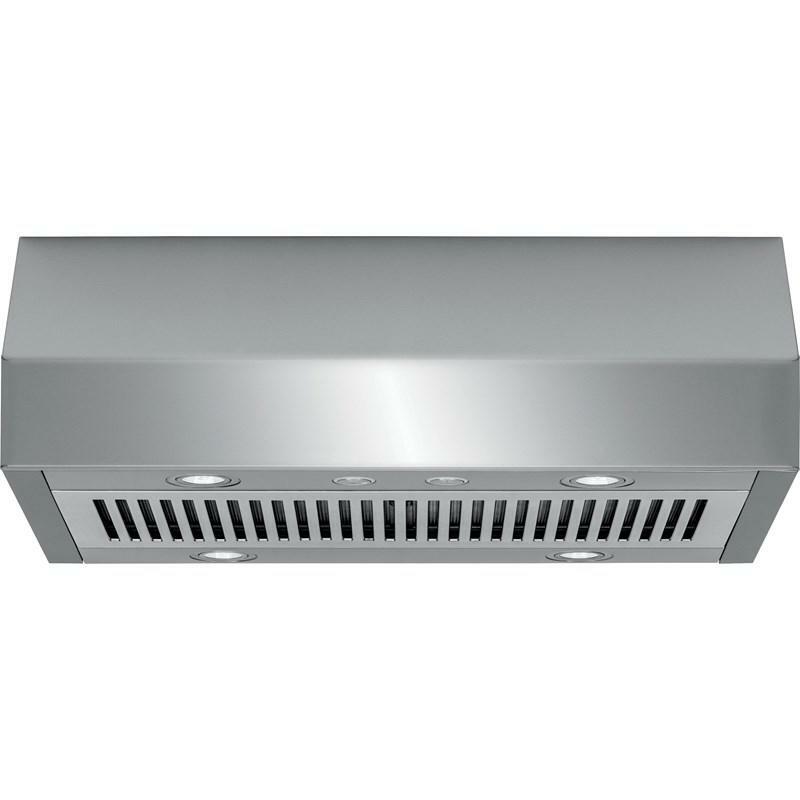 Featuring large-capacity, heavy-duty ball bearing glide system and half-width rack that provides loading flexibility. 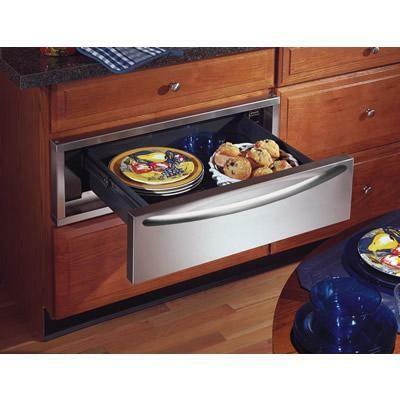 Can be installed under wall oven or by itself in a cabinet. Capacity 0.9 cu. ft. / 0.03 cu. 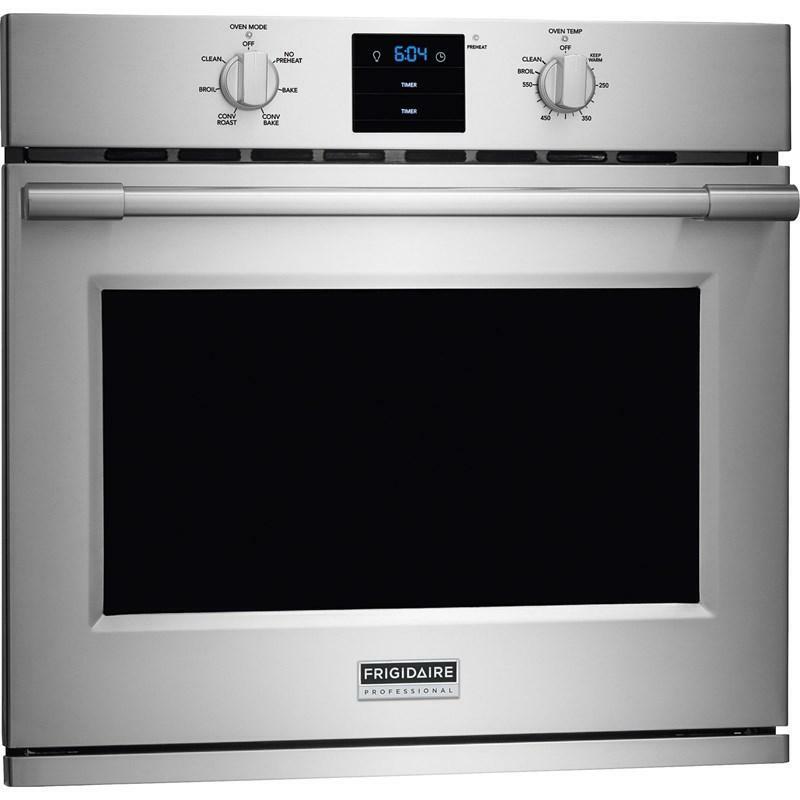 m.
This Frigidaire Professional 30" electric range is equipped with 5 elements. 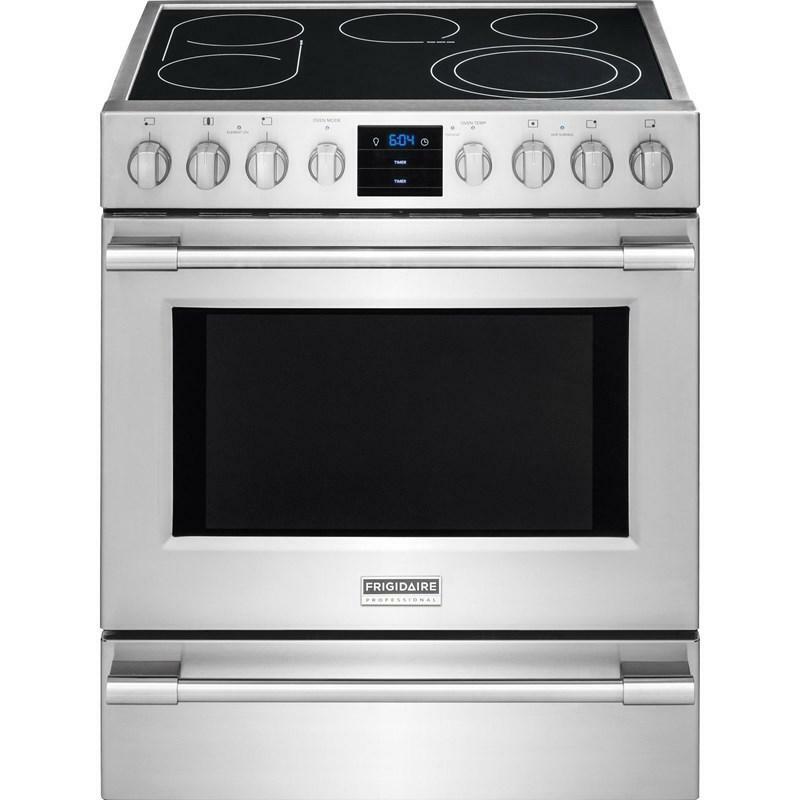 It features PowerPlus® dual fan convection, PrecisionPro™ controls, a SpaceWise™ expandable element and Effortless™ convection conversion. Capacity (cu. ft.): 5.1 cu. 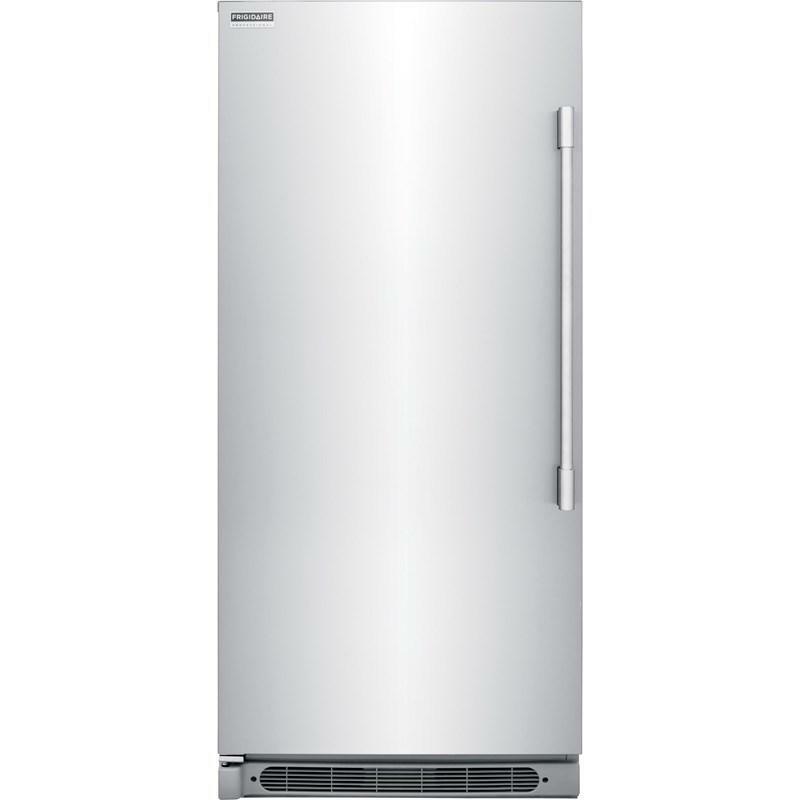 ft.
Frigidaire 24" built-in dishwasher featuring EvenDry™ system, OrbitClean® wash system and the SpacePro® organization system. Total: 21.6 cu. ft. / 0.61 cu. 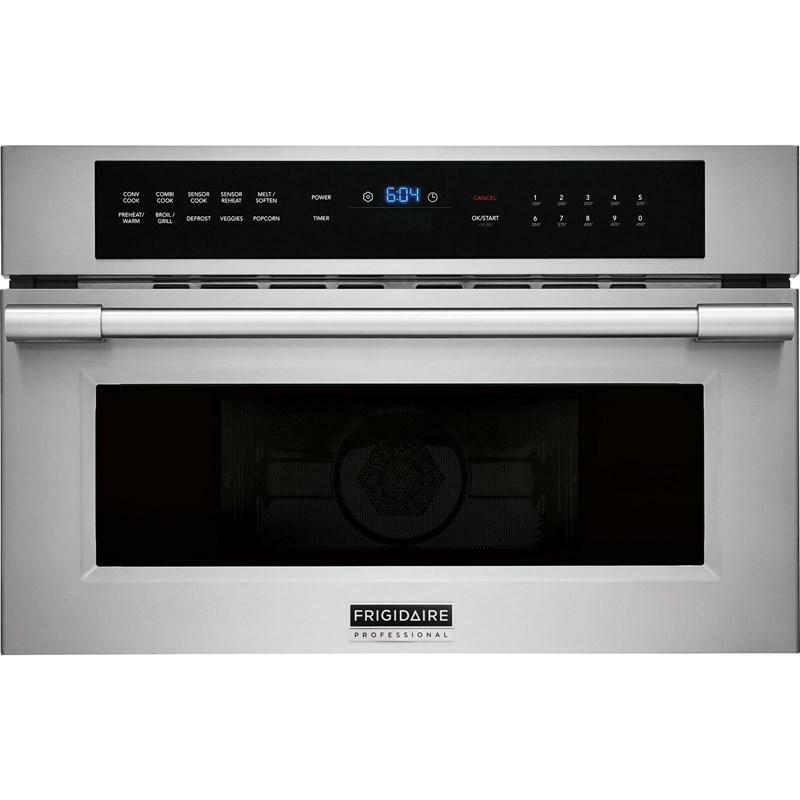 m.
This Frigidaire Professional 30-inch built-in microwave oven features PowerPlus™ 2-in-1 convection oven, PowerSense™ cooking technology and PowerSense™ auto defrost. 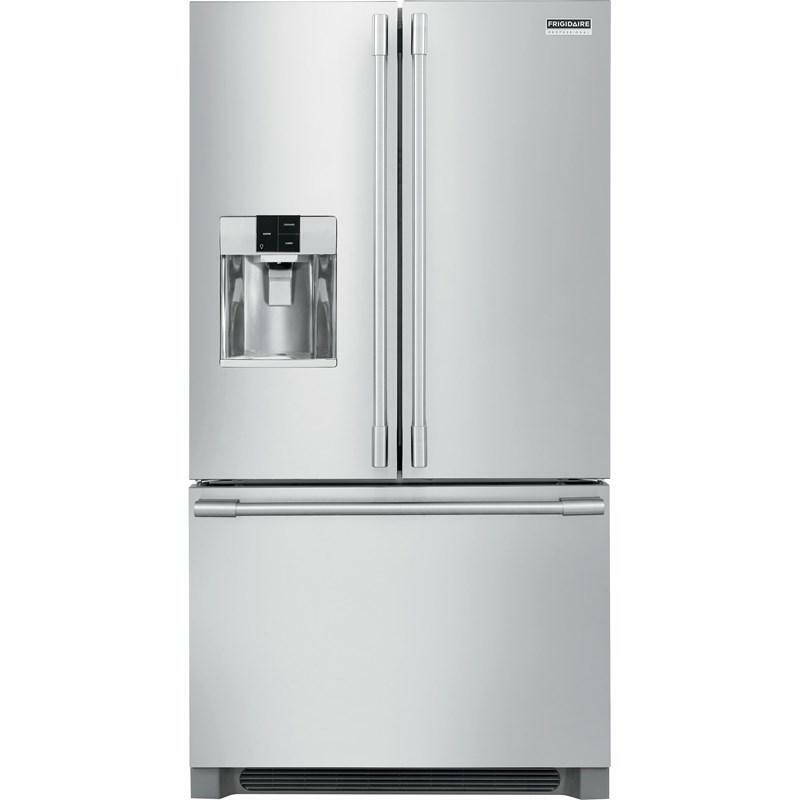 Total Capacity: 18.6 cu. ft. / 0.53 cu. 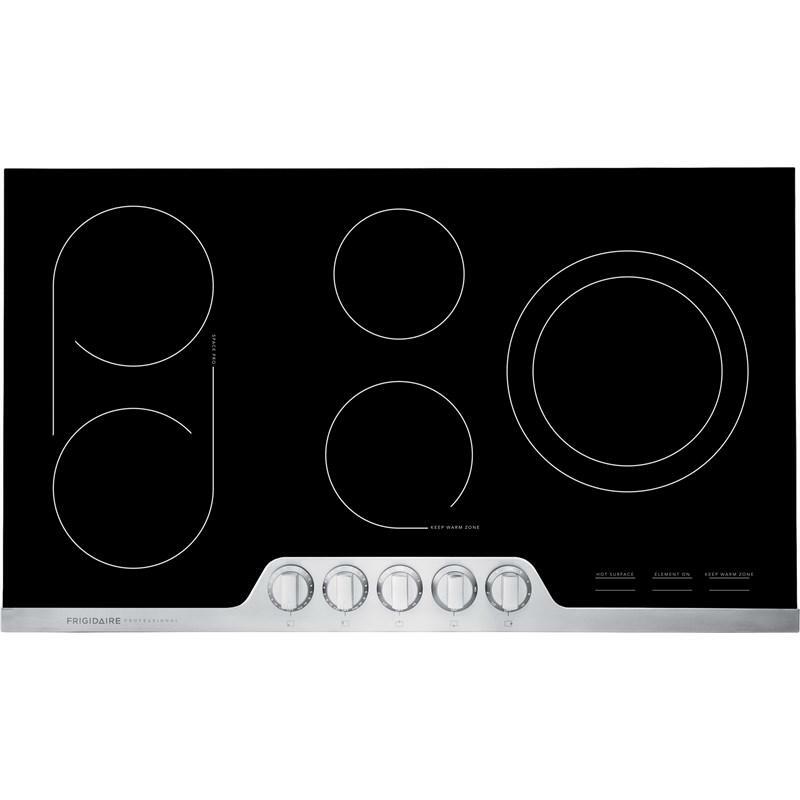 m.
Frigidaire Professional 36" electric cooktop features a SpacePro™ bridge element, PrecisionPro™ controls, keep warm zone and hot surface indicator lights.